The Fall Armyworm (FAW) Spodoptera frugiperda is a major economic pest of maize across the American continents from the United States to Brazil. Without proper containment, the FAW can cause maize yield losses between 30-40%. In Brazil, the government spends in excess of $600 million USD annually to control FAW on approximately 15 million hectares of maize. In the past, the pest has remained confined to the American continents with occasional interceptions by European quarantine services. Unfortunately, FAW made landfall across the Atlantic in January 2016 where it was confirmed in Nigerian maize fields. Since its arrival just 18 months ago the FAW has taken the the entire Sub-Saharan (S.S.) African region by surprise and by storm. The spread has been quick and pernicious. As of June 2017, at least 20 countries have confirmed that FAW has been negatively impacting the planted area of maize within their countries. The scale of the affected areas in 2017 is still not fully known, but the speed with which FAW has covered hundreds of thousands of hectares of maize fields across west, central, southern, and east Africa is unprecedented. Conservative estimates from the Center for Agricultural and Biosciences International (CABI) indicate that across S.S. Africa 13.5 million tons of maize valued at $3 billion are at risk of loss in 2017, which is equivalent to more than 20% of total production for the entire region. The rapidity of the FAW’s march across Africa can be attributed to its shorter life cycle – as brief as one month – caused by new environmental conditions. The short life cycle and lack of freezing temperatures allows for multiple FAW outbreaks during a single production cycle of maize and other grain crops. Furthermore, it is not just maize that is at risk. FAW causes major damage to more than 80 crop species, including other economically important crops such as rice, sorghum, wheat, sugarcane, several vegetable crops, and even key animal feed grasses like elephant grass. Smallholder farmers in the remote, rural areas with outbreaks of FAW are disproportionately at risk. The primary controls utilized by industrial agricultural operations and large-scale independent farmers are a range of pesticides and genetically-modified (GM) seed varieties, which are either not yet available in S.S. Africa or unaffordable for smallholder farmers living in extreme poverty. The only other available control this season for farmers living in extreme poverty is hand-picking the worms one-by-one, which requires an intense amount of extra on-farm labor and is only effective in minor pest outbreaks. The 2017 S.S. Africa FAW outbreak is not a minor case. There is no doubt that smallholder farmers, particularly maize farmers, have a long fight ahead of them to combat FAW, and Nuru will continue to fight by their side in 2017 and beyond. Ethiopia was one of the last countries to confirm the presence of FAW; even so, the country has been severely affected by the pest. As of early June, FAW was confirmed in six major maize-producing regions, including the remote, rural areas of Gamo Gofa Zone where Nuru Ethiopia (NE) operates. 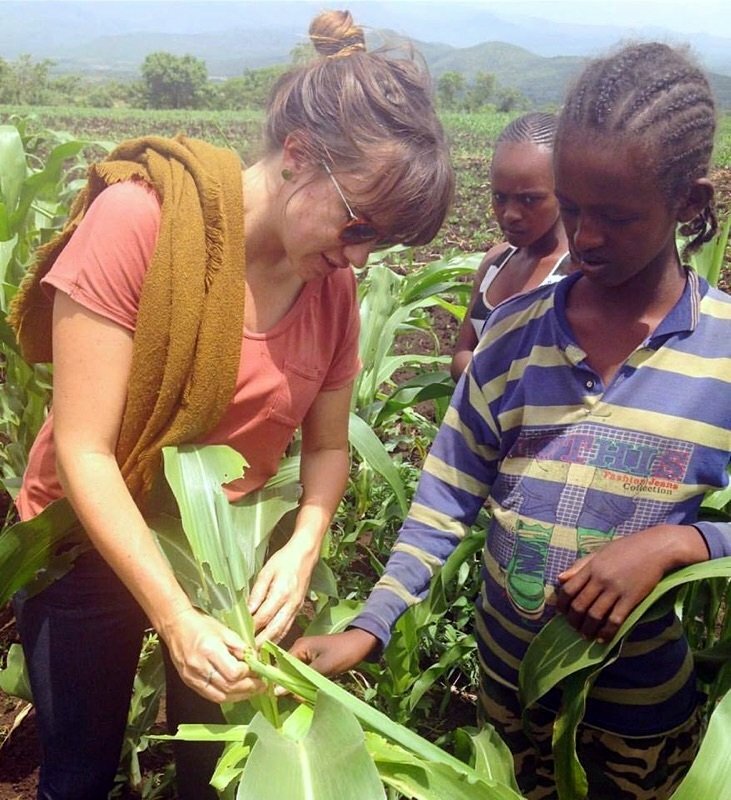 FAW is reported to be affecting nearly 150,000 hectares of maize planted across Ethiopia. To date, the Government of Ethiopia has allocated nearly USD $2 million for prevention and control measures; however, the mobilization of those resources only covered 44% of the total maize area with confirmed FAW infestation. 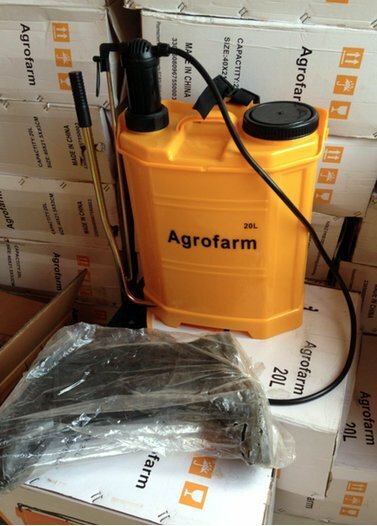 In anticipation of the increasing scale of the FAW outbreak in Ethiopia, NE responded with a coordinated plan of pesticide procurement and distribution through Nuru-supported primary cooperatives. 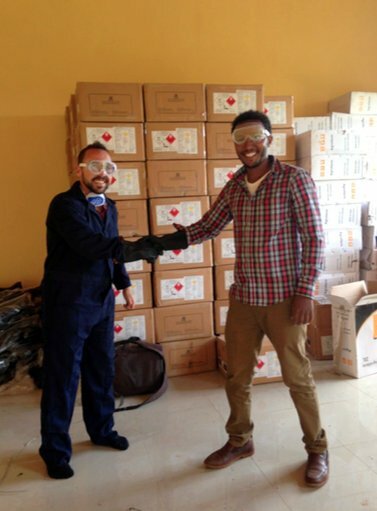 The access to the pesticides and associated safety equipment is tied to mandatory health and safety trainings for cooperative leaders and volunteers. The farmers that go through the training are responsible for spraying affected fields for Nuru and non-Nuru farmers alike. To date, more than 500 farmers have received pesticide spraying in their fields and the effort continues. 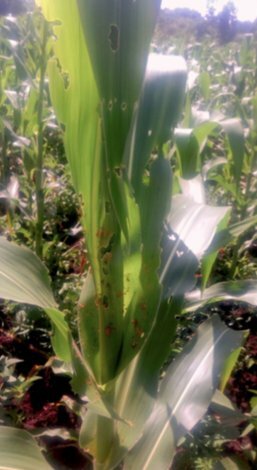 It is still too early in the Ethiopian maize season to estimate the severity of the damage, but Nuru’s efforts have caught the pest early in it’s life-cycle and proper containment is under way. The Government of Kenya was one of the first East African countries to confirm the FAW outbreak and Nuru Kenya (NK) followed suit. Nuru Kenya first identified FAW early in the maize planting season as of late March 2017. At first there was difficulty differentiating between FAW and local species of Armyworms, but NK quickly identified about 300 Nuru farmers with affected fields. 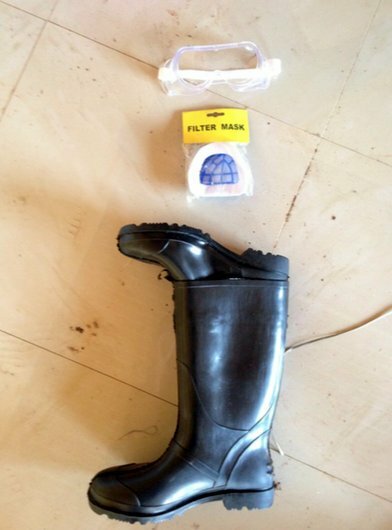 Working through the newly implemented NK cooperative model, and in partnership with the public and private sectors, the affected Nuru farmers were able to access available pesticides and control the scale of the FAW outbreak in Kuria East and Kuria West. Preliminary indications for maize yields in the 2017 harvest are positive. In the S.S. Africa region, the United Nations Food and Agriculture Organization (UNFAO) is leading the coordination of stakeholders to combat FAW, and Nuru International will continue to be engaged by bringing all relevant information and materials to NK and NE. At the FAW regional workshop in Accra, Ghana on July 21-25, participants developed a training curriculum for long-term FAW integrated pest management (IPM) with plans for dissemination before the 2018 planting seasons. The IPM strategy that comes out of the Ghana meetings will provide much needed consensus for agricultural trainers and extension agents across S.S. Africa. Agricultural extension agents educate farmers and producers about innovations in the field of agriculture. 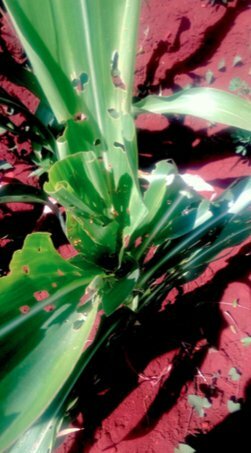 Research into companion/decoy plants that can be used to attract FAWs away from damaging economically significant crops, like maize. These actions are being implemented alongside regular integrated impact program activities for Nuru’s agriculture, financial inclusion, healthcare, and education programs. 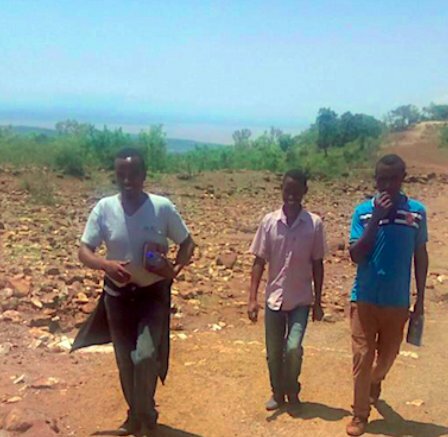 The extra effort mobilized to combat FAW is a testament to the servant leadership qualities inherent to the local field staff at Nuru Kenya and Nuru Ethiopia and their drive to help eliminate extreme poverty from their communities. 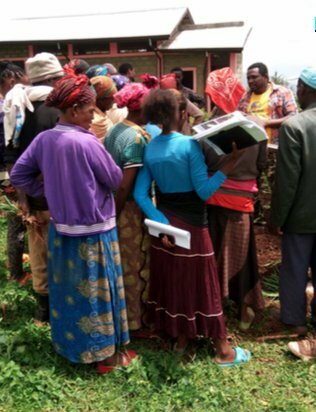 As new IPM strategies are developed by the international community Nuru will continue the on-going efforts to disseminate innovative FAW controls to the remote, rural communities that we serve. 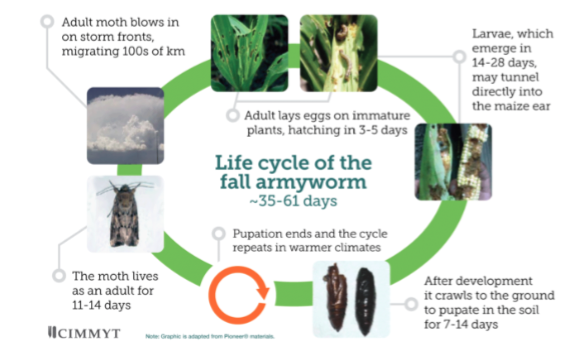 The Fall Armyworm outbreak in Sub-Saharan. Africa requires an effort larger than any one organization, or one farmer’s field. It requires an approach that spans entire agricultural landscapes, and it will require everyone to stay in the fight, together.